The AIS and Lifeline have launched a Community Custodians program for mental health. Some of the athletes who are getting involved in the new Lifeline Community Custodians program. 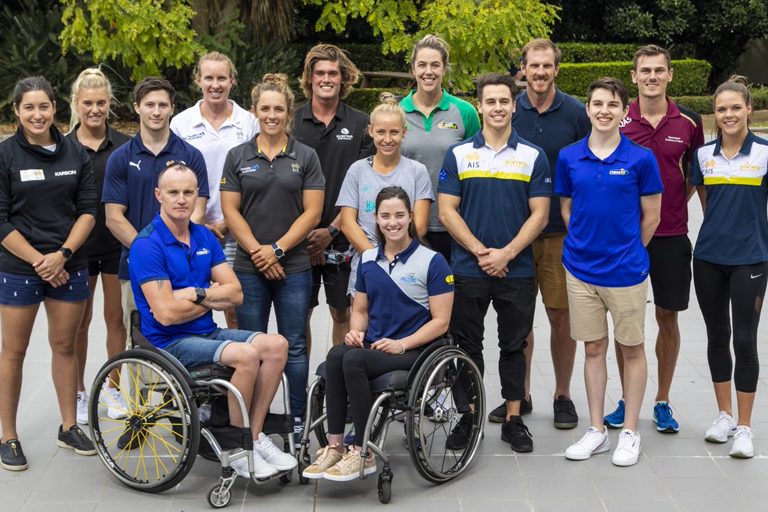 Rear, from left, Sophie Fletcher, Jo Brigden-Jones, Cooper Chapman, Jenna O’Hea, Ken Wallace, Dane Bird-Smith, Laura Hingston; middle, Belle Brockhoff, Michael Tone, Jaime Roberts, Georgia Wilson, Declan Stacey, Gordon Allan; front, Erik Horrie, Emily Tapp.